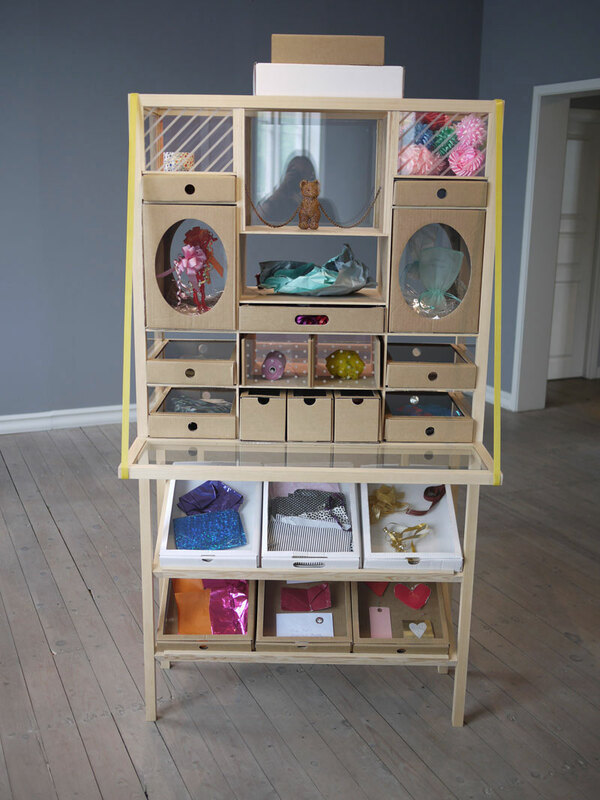 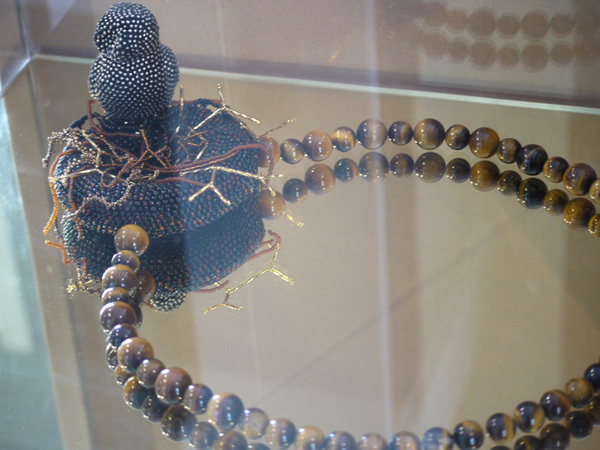 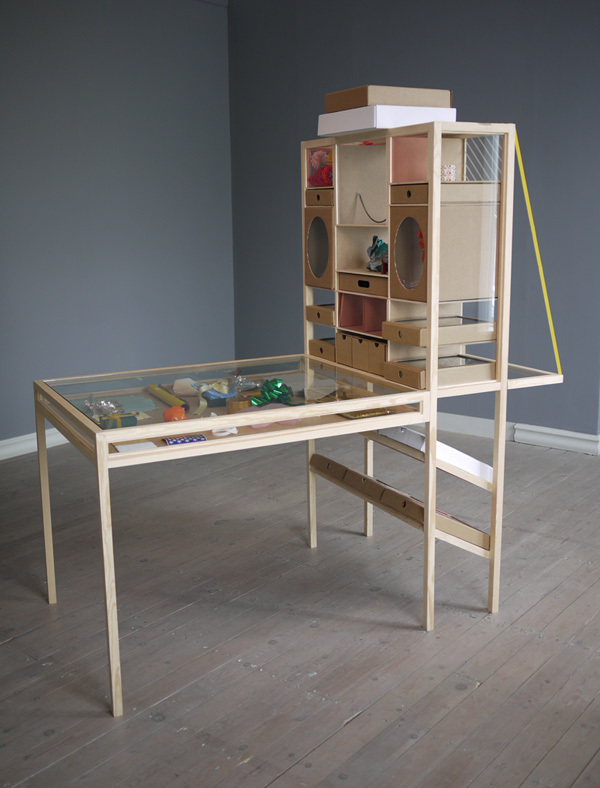 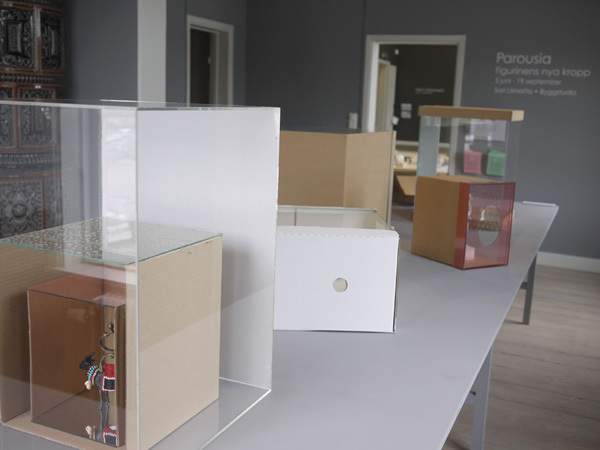 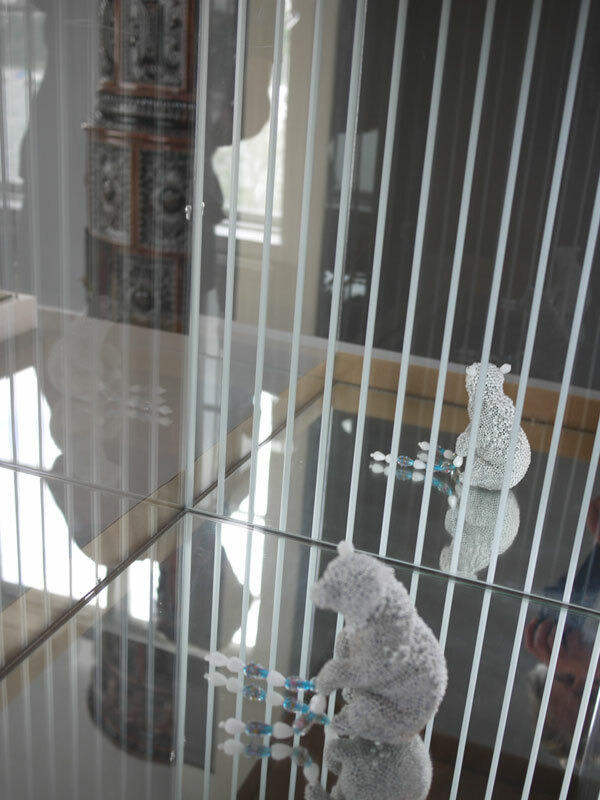 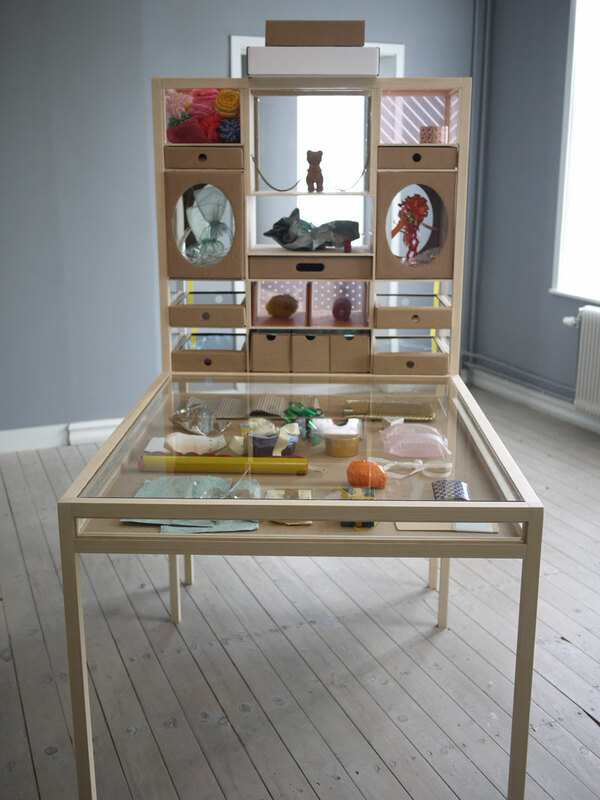 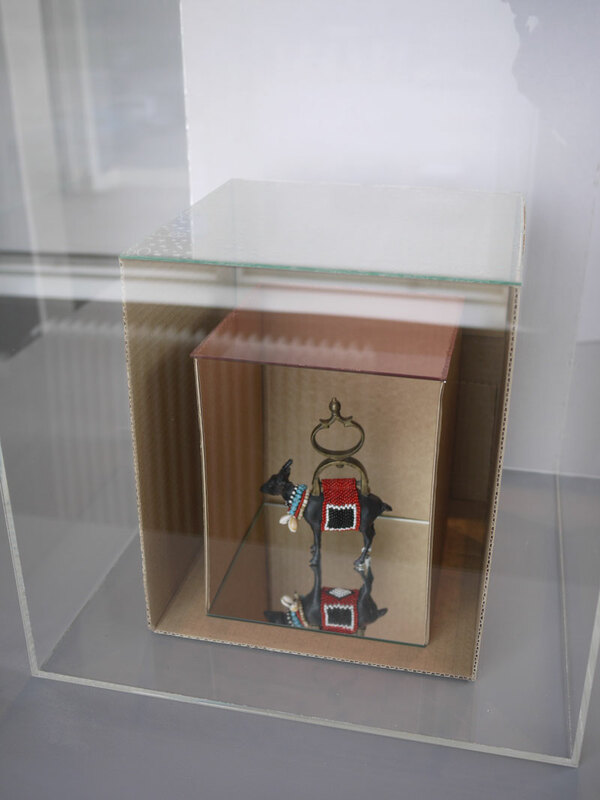 Exhibition displays made for Sari Liimatta's figurine exhibition Parousia at Gustavsbergs konsthall. 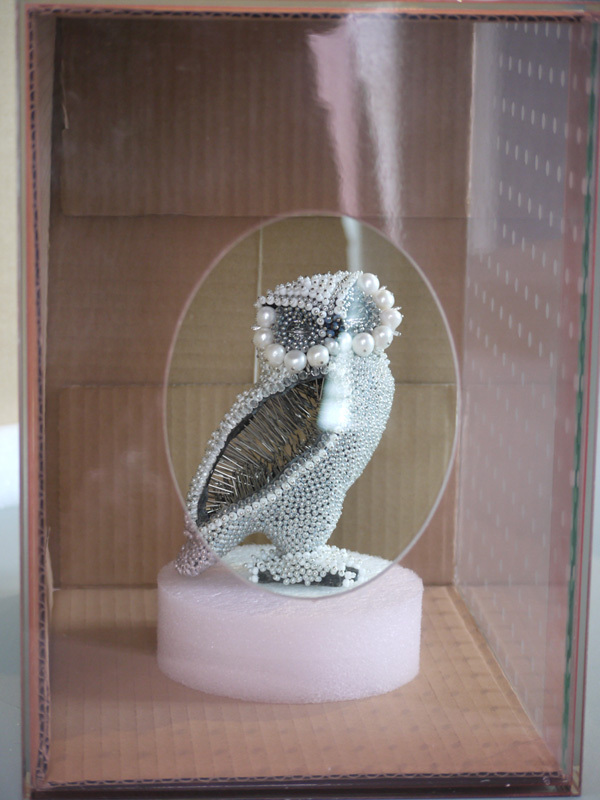 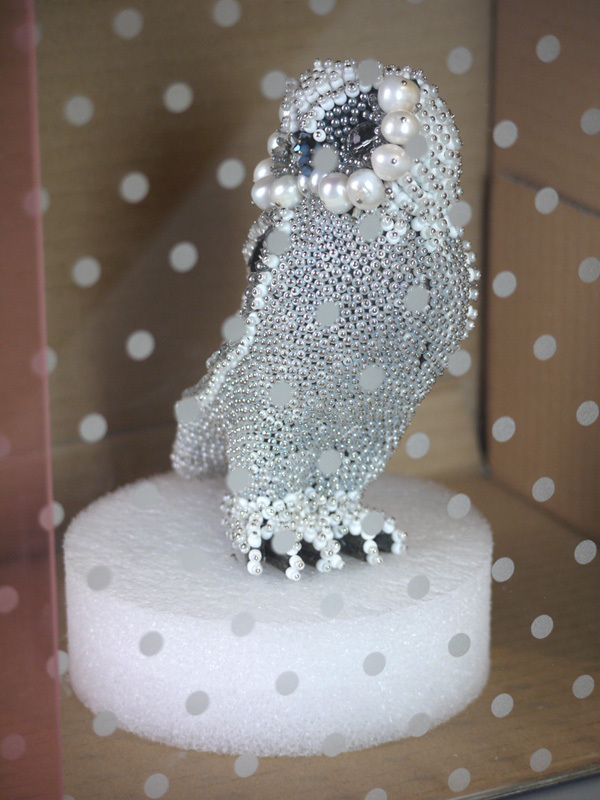 The design concept is based on the original idea of the figurine as a precious gift. 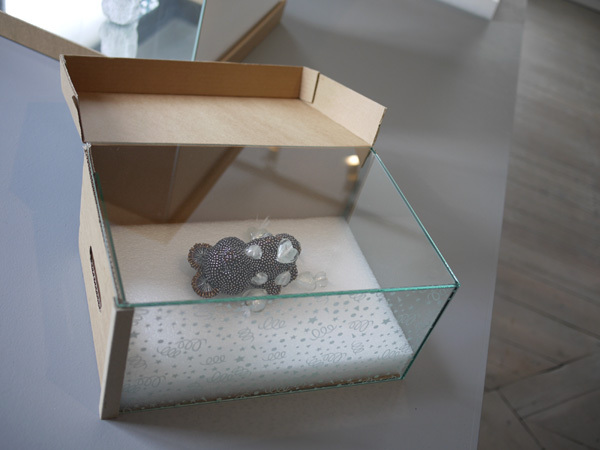 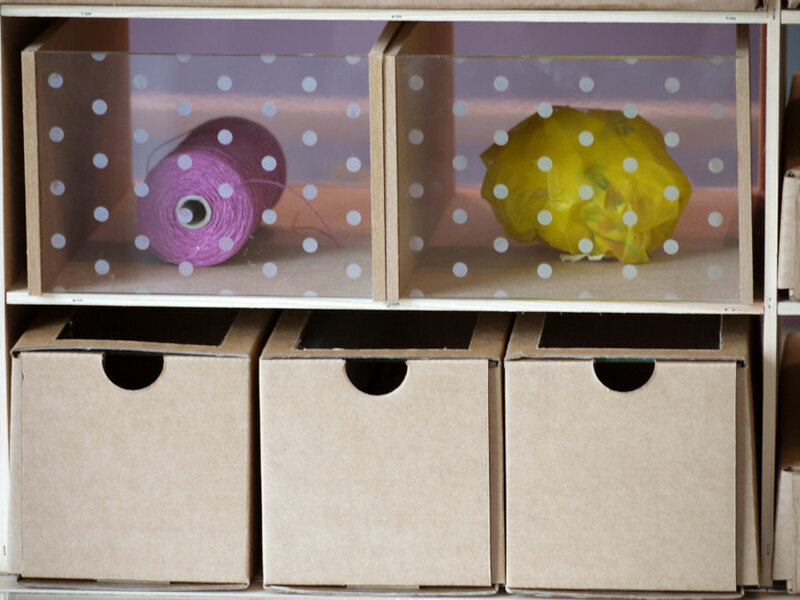 Common packaging and gift materials were used as a base. 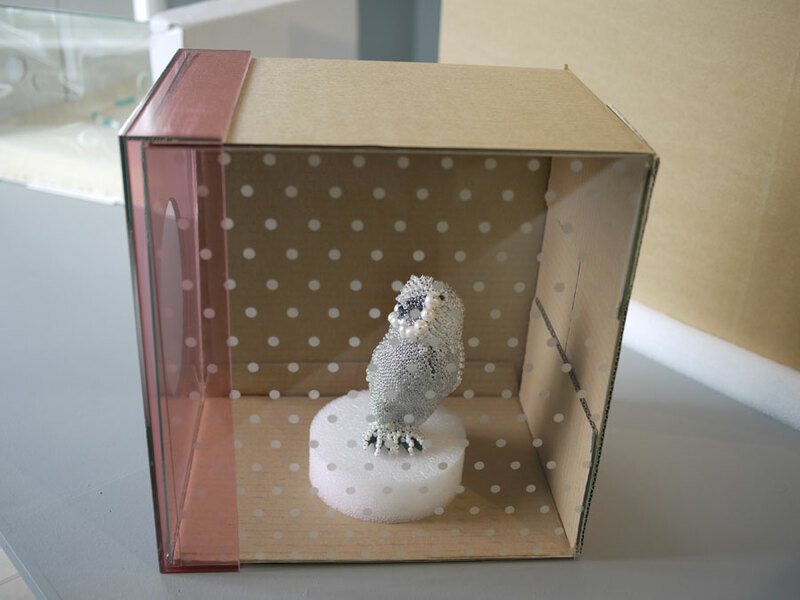 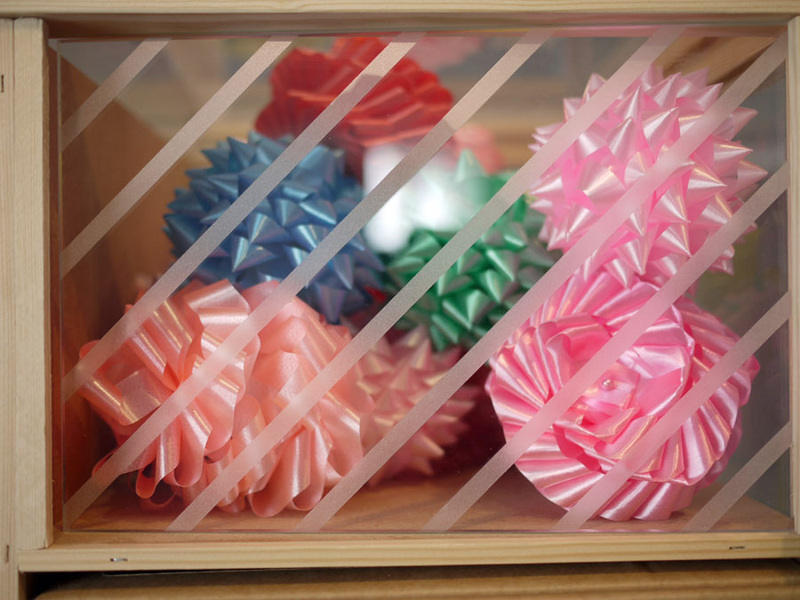 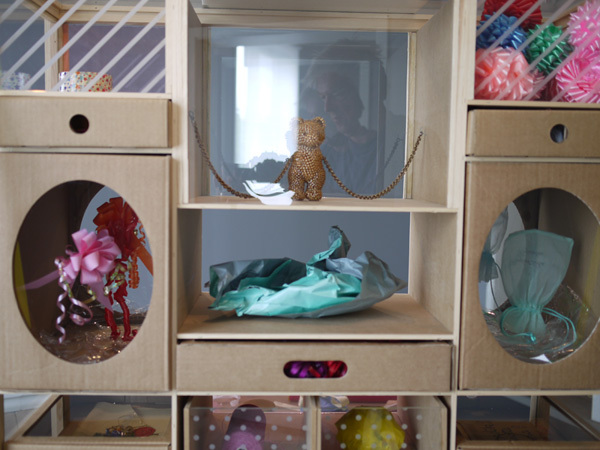 Gift wrapping patterns were etched into the glass displays and cardboard boxes were customized to fit the concept.